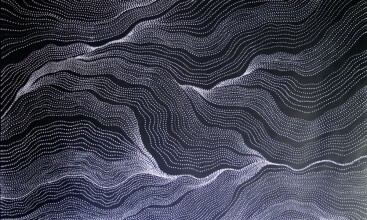 Subjects and Themes(Dreaming): Bush Yam Dreaming, Bush Yam Seed Dreaming, Wild Potato, Wild flowers, Women's Ceremonial Designs, Emu, My Country. the daughter of a well respected artist Glory Ngarla. 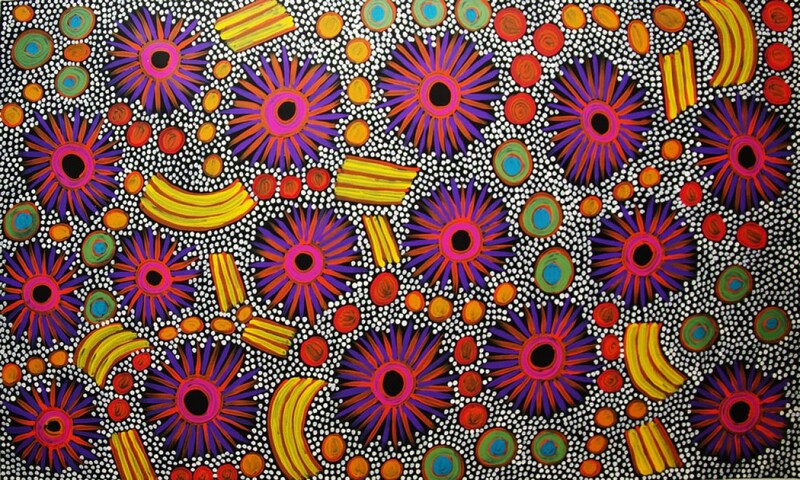 Glory Ngarla is well known for her batik work at Utopia. 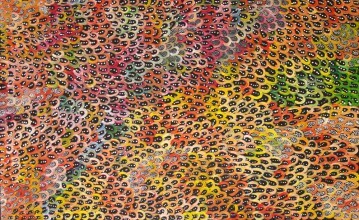 Anna has also worked with the Utopia batik group at a young age in the 1980's. Anna depicts the Bush Yam, Bush Yam Seed and Salt Lakes or MY Country stories. These are the Dreamings of her grandfather and father's country from the Boundary Bore region. 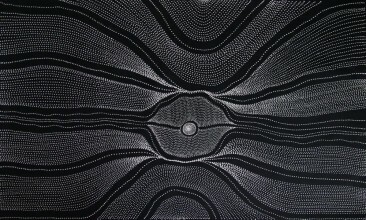 At first Anna Petyarre used very bright colours with minimal dotting and the last 10 years her creativety and talant made her change her painting style radically and now Anna's works illustrate a technique of intricate dot work, with small amount of colour. 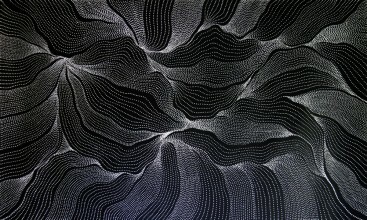 An award winning artist, she is represented in many galleries and collections. 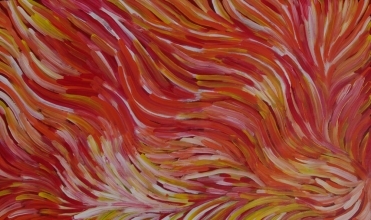 Anna's paintings have been collected widely by private and corporate foreign collectors in the USA, Singapore, United Kingdom, India, Poland, Denmark, Germany and France. 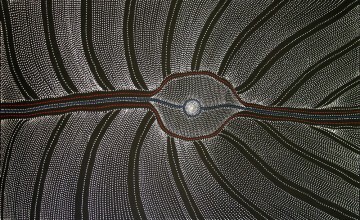 This painting represents the Yam Dreaming mixed with Women's body Painting, her works are colourful and intricate expressions of the songs and stories associated with her plant totem, Bush Yam, and its seeds.